THE GIVING TREES ARE BACK! Have you seen our lobby lately? We're decked out in our holiday finest, including one very popular addition: the Giving Trees! 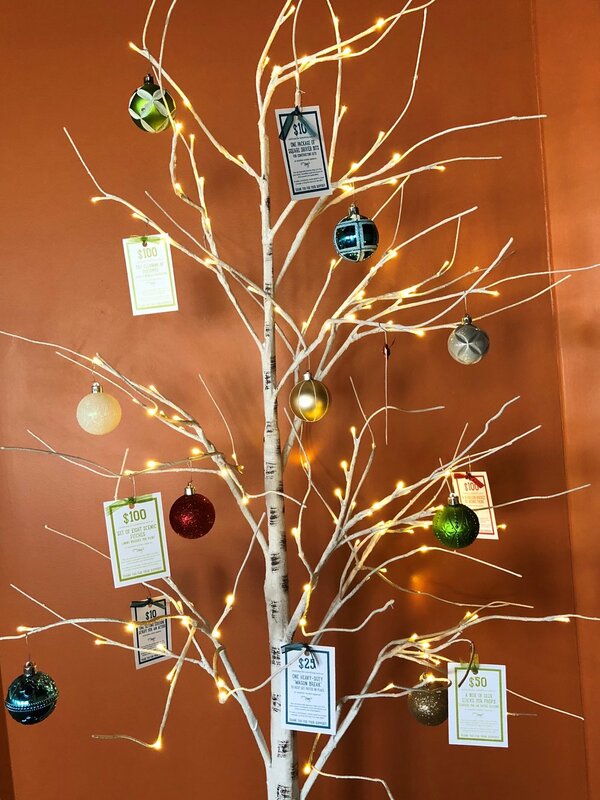 On the birch trees in our lobby you'll find not just sparkling ornaments, but gift tags that describe wish list items the theater needs in all different price ranges, including supplies for our prop department and scene shop, materials for our education program, royalty fees to produce a show, and more! If you've ever been curious about what it takes to run a theater and make the magic happen on stage, peruse our trees. And if you're so moved, we hope you'll bring a gift tag to the Box Office and make a cash donation that we'll use to purchase items like the one on the tag. 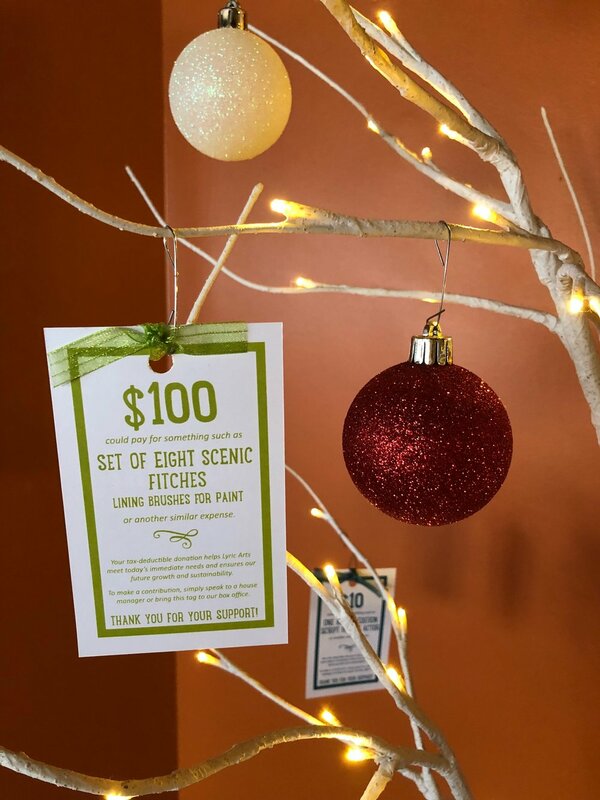 It's a fun--and impactful--way to give to Lyric Arts this holiday season!